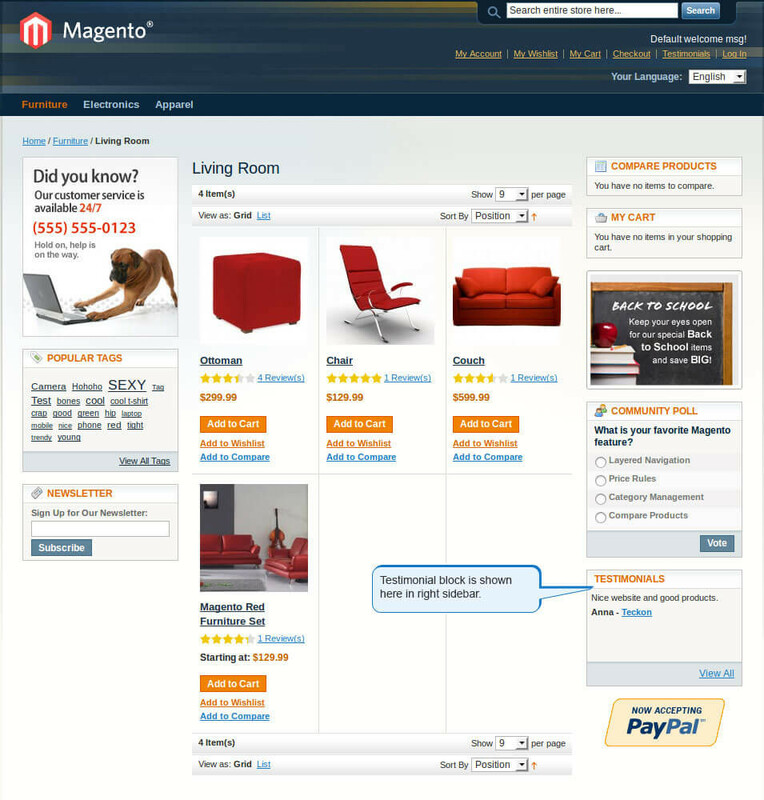 Magento Testimonials Extension allows online store owners to easily manage customer testimonials. It is a great way to increase credibility for your business. 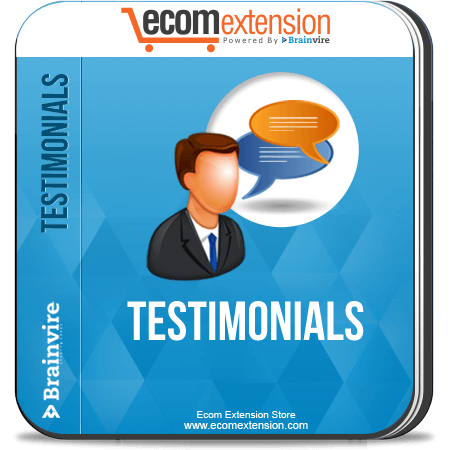 Magento Testimonial Extension enables an option for your customers to add testimonials to your online business. 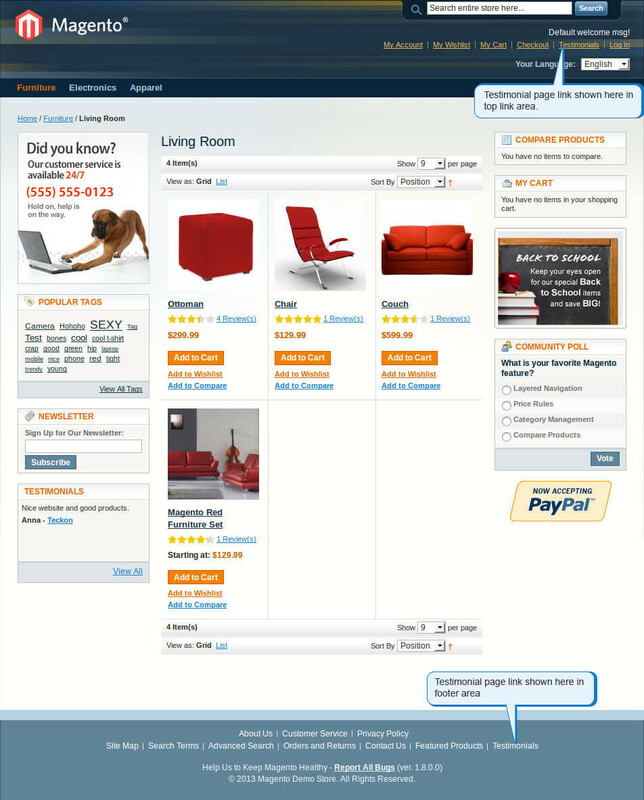 Customers can write reviews for your products and provide feedback for services provided. 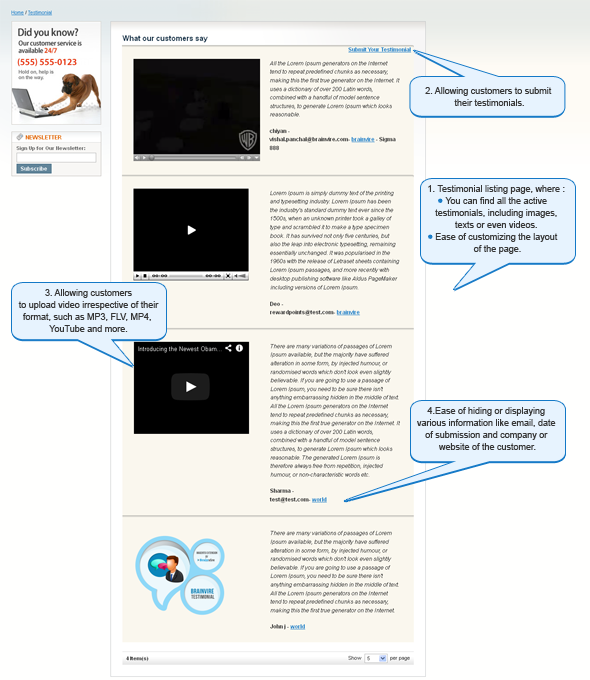 Existing testimonials on your website help attract new customers. It’s true that a happy customer sells better than a sales executive! A positive testimonial on your website will definitely persuade new customers to avail your services or buy your products. 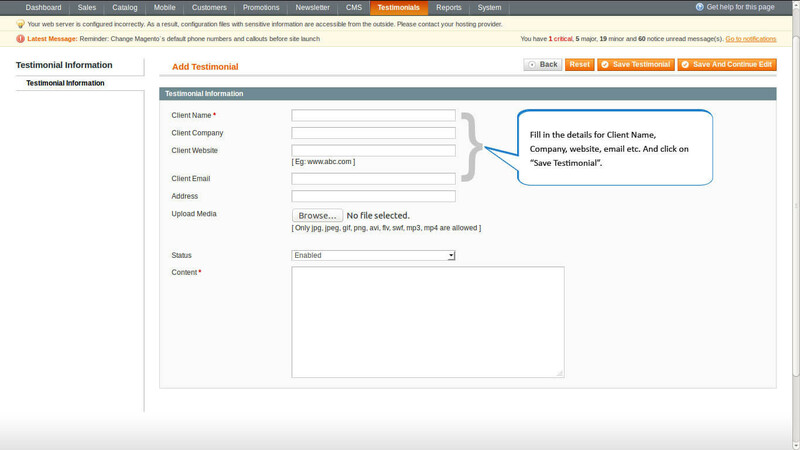 The Testimonials extension also enables admins to filter out the spam and manage the number of words. Enhance your sales opportunities with our Extension. 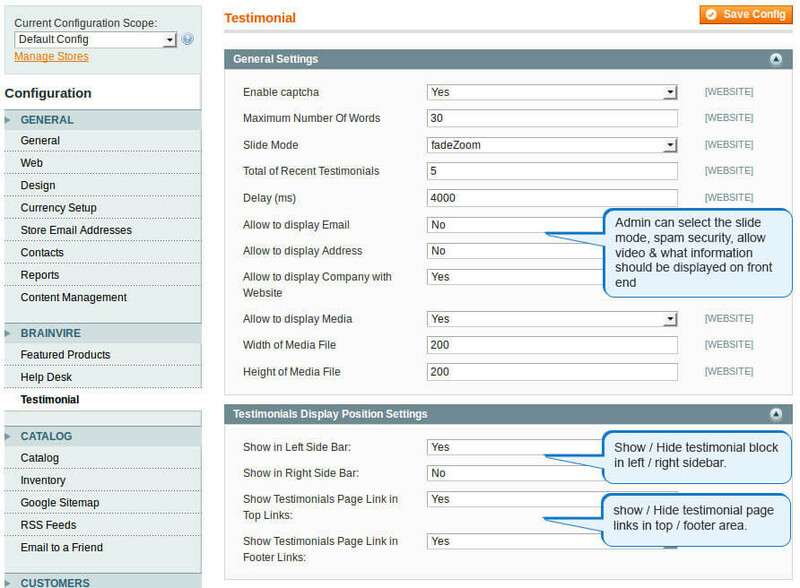 Allow adding testimonial by admin panel. 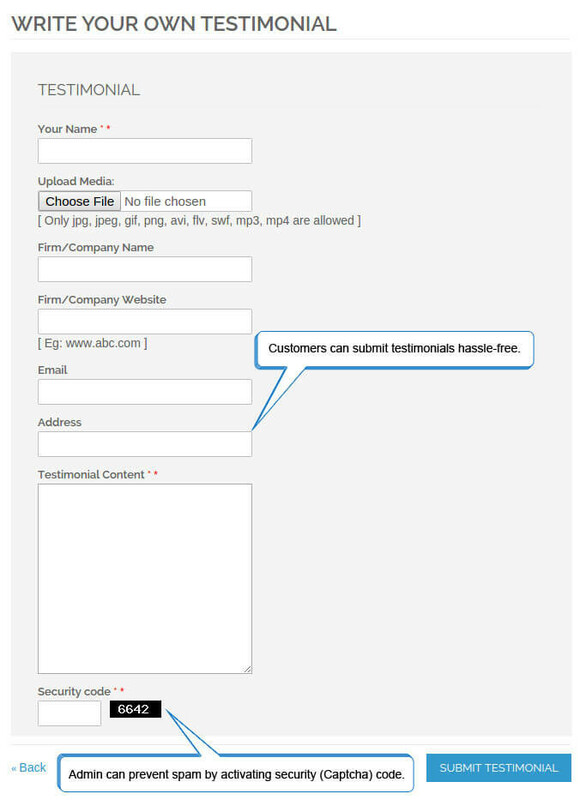 Allow client to submit testimonial on front end. 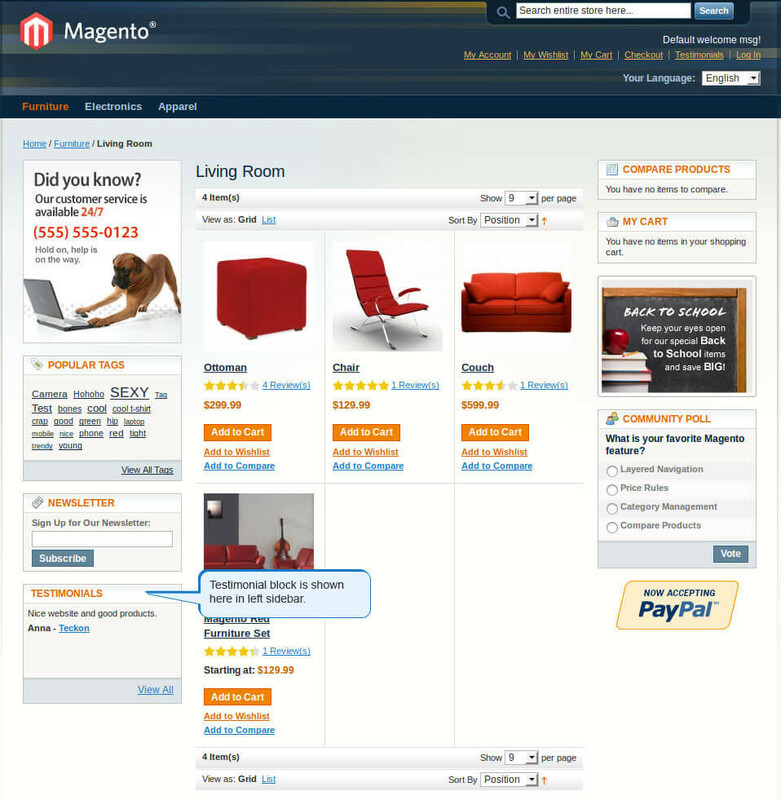 Show the customers testimonials in the side box or on the separate page. Allow admin to place the testimonial block on sidebars. 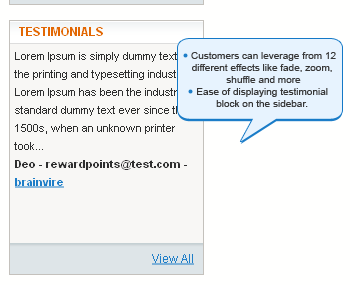 Testimonials link can be Added / Removed from Top Links area and Footer area. Photos, Videos and image uploading.